Italian retail stores have broken the embargo placed on PlayStation 3 consoles by putting the games machine up for sale 24 hours early. 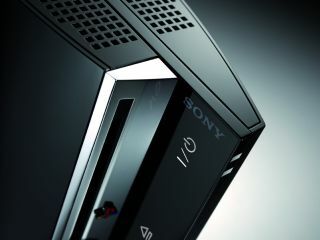 The PS3 has long been scheduled for a 23 March launch across Europe and in Australia, but the Italians decided March 22 was close enough. And while it will please some Italian gamers to get hold of a PS3 a day earlier than expected, Sony is not at all impressed. The Japanese company released a statement saying: "Sony Computer Entertainment Europe is deeply disappointed by the unilateral decision of some Italian retail chains to commence the sale of PS3 to consumers before this official launch date. "We will carefully consider all available options in relation to retailers who have commenced sale of PS3 prior to 23rd March 2007. Such decisions run counter to our policy of consumer protection which seeks to ensure that all of our consumers have an equal opportunity to purchase PS3." The embargo was most likely broken due to larger-than-expected stocks being available, and a high price which is putting off prospective customers. Italian shops no doubt slipped their allotted consoles onto the market in a bid to sell as many of them as possible, for fear of still being fully stocked by the end of Friday.